More of our best-selling regular size printed leggings! VIV Collection's printed leggings are made of premium material. No matter what your lifestyle is, we have a pattern for you! 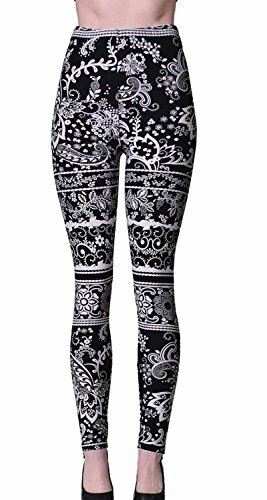 These leggings are perfect for wearing under a dress or tunic, but the varied designs mean wearing them alone is a wonderful idea as well! Very soft, stretchy, and extremely comfortable (Polyester and Spandex), with diverse standout designs for different holidays and seasons! Check back often, because our rotation is constantly growing and changing! To search for the size that interests you, please use our Size Chart image as a general guide.